Please note that at this time we are only accepting proposals for curatorial projects. Individual artist proposals will resume at a later date. 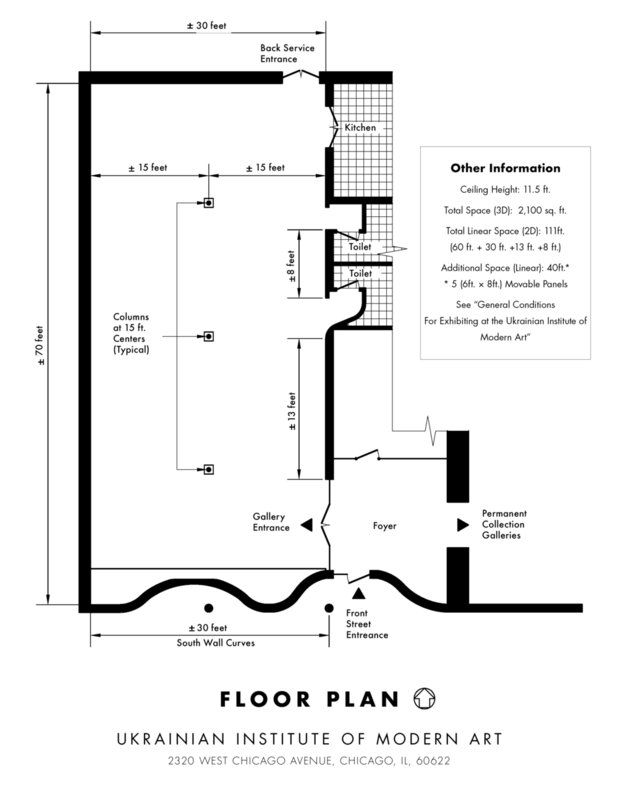 We welcome proposals from local, national, and international artists and curators for exhibition in UIMA’s West Gallery (see floor plan below). Please note that when you submit a proposal your work will be considered for a solo or group show. UIMA art committee reviews all proposals on a quarterly basis. UIMA is no longer accepting hard copy applications and will not consider any application that is not submitted in the format described below. After the art committee has reviewed the submitted proposals, you will be contacted via email informing you whether your proposal has been accepted. 1. Resume/CV For curators proposing group exhibitions, include curator’s CV and short bios for each of the artists included in the exhibition. 2. Artist/Curatorial Statement Please be specific and descriptive about what it is that will be created, how it will be achieved, and what larger implications you expect of the work—"what, how, and why." In other words, what is the focus of the exhibition? 3. Portfolio For Visual Arts, Design or Architecture, please include a minimum of 10 and a maximum of 15 images of your work, one image per page of the PDF, and include descriptions of the images: title, year, medium, size. If the proposal is for new work, please include documentation that demonstrates your ability to complete the proposed project, possibly including mock-ups for the new work. Website links are not accepted for images. Please integrate image captions that include title, date, media, dimensions and any other descriptive clarifying information for each work. Please reduce image size so that the total file size does not exceed 10MB. *Please note that artists are responsible for transportation of artwork to and from UIMA. If you are proposing an exhibition from abroad, special grant funding for shipping costs may be available.